Bill Davis was born and raised in Montgomery and attended public schools until graduating from the University of Alabama in 1975. Bill has been in the real estate business since 1977 and has been the broker/owner of Davis and Copeland Realtors since 1986. Bill has been married to Susan Cole for 40 years and they are the parents of 3 sons, 3 daughters-in-law and 4 grandchildren. He and Susan are active members of First United Methodist Church, where he is also a member of the Joseph Ministry. Bill chairs the United Methodist Church Montgomery-Prattville District Board of Church Building and Locations committee. He is also a member of the Montgomery Chamber of Commerce Committee of 100. 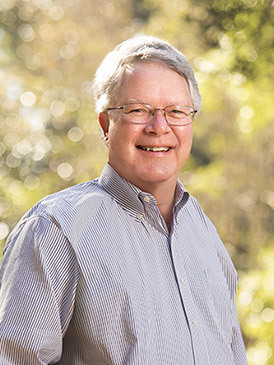 Bill enjoys spending time with his grandchildren, playing golf and tennis and of course, real estate. Bill is consistently near the top in Montgomery for volume of real estate sold, per the Multiple Listing Service. Bill knows Montgomery neighborhoods, lenders, appraisers, inspectors and the attorneys to get his clients to the closing table. He understands that a home purchase is usually the largest investment families ever make. Most of Bill’s business comes through referrals and repeat client business. After more than 40 years in the real estate business, people look to Bill for his experience, honesty and diligence in getting the job done!